There will be an After Dark discussion following the 19:45 performance on Fri, 7th Apr. Free to ticket holders. The horrors and futility of war are brilliantly captured in this intensely moving play. 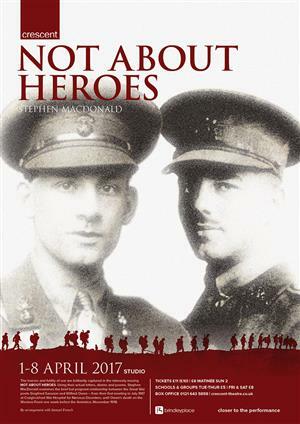 Using their actual letters, diaries and poems, Stephen MacDonald examines the brief but poignant relationship between the Great War poets Siegfried Sassoon and Wilfred Owen – from their first meeting in July 1917 at Craiglockhart War Hospital for Nervous Disorders, until Owen’s death on the Western Front one week before the Armistice, November 1918.